The First 25 Days of 2012 is onto the 4th day and it's Wednesday...so we are going to find out what's getting worked on during this Working Wednesday. 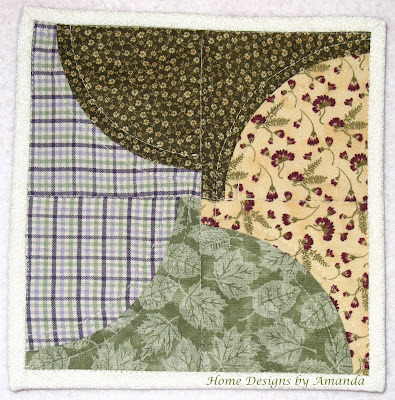 That means we can hop over to Lee at Freshly Pieced for WIP Wednesday and find out what everyone else is working on this new year. New Wave is what I'm calling this pattern of placement of the pieces, but it is the Drunkard's Path template...which I HATE that name, couldn't they have called it something like the wobbly path or winding path template instead? At first I wasn't sure I really liked this arrangement, but I think it is growing on me. Chad liked it. It wasn't as hard as I expected, but I think I still want to take the Curves Class with Rachel at Stitched in Color...which is now open for registration. 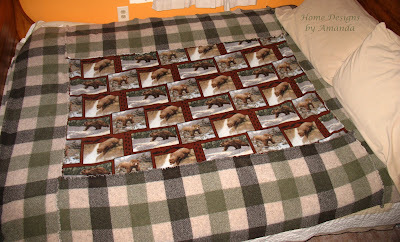 Also, I finished a throw blanket for Chad yesterday. 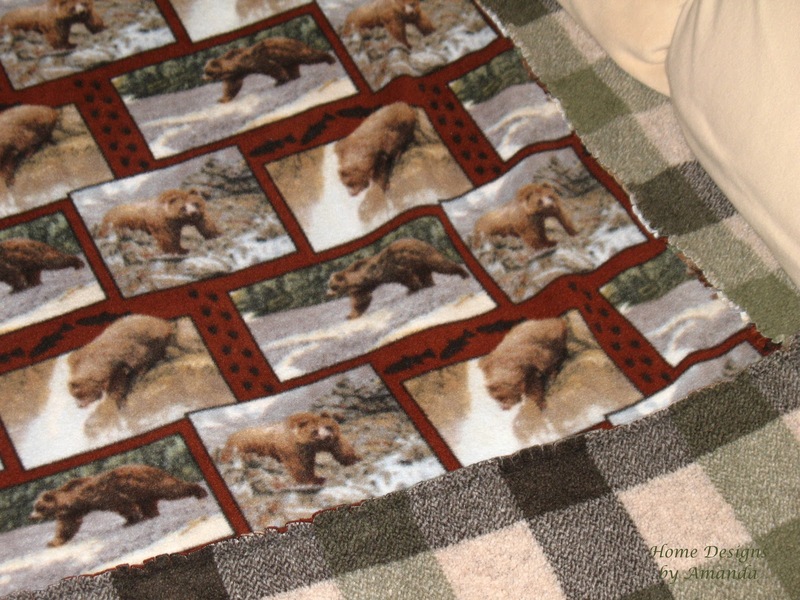 On Christmas Eve, I went to JoAnn's and while there I picked up a 1 yard fleece remnant for $3...it was woodsy and masculine with bears on it. I went home thinking I could make a pillow cover for a floor pillow for Chad. [I only had one present for him at the time...and he had a bunch for me :)] However, my machine was really giving me fits by then and so I just didn't do anymore sewing. So, I wrapped up the yardage and gave it to him undone. He was a good sport about it...even laid it out over him as a blanket...which it was just a little to small to cover him well. Together we decided to make it into a throw blanket instead of the pillow cover. I added some fluffy soft material that I had in my stash. Now it fits the top of our queen sized bed. 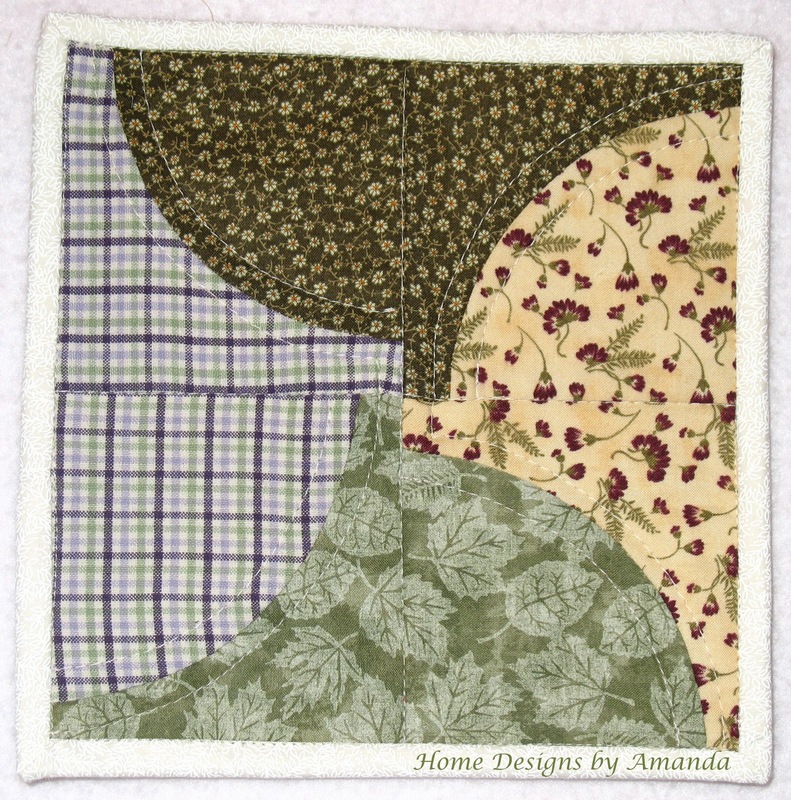 Where the two materials meet is just done like a rag quilt. It is very soft and cuddly. Non-sewing related WIP...taking down the Christmas decorations. The big tree in the living room will hopefully come down today! This passage is talking about when Israel repents and turns back to God...but if we take and apply this to us now, we can glean from it. If we just follow and lean on God, either in continuing to, or returning to Him (like the prodigal son), we can ﻿trust that though God allows hard time and trials to come into our lives, He will take care of us. His touch is a healing and soothing comfort that we can find even during the trials. It's just hard to remember this as the trial rages, but He is there to hold you.